Every Thursday in the Front Bar! Dip Hop is Goodgod’s new weekly Rap/R&B party featuring The Dip‘s head chef Levins with guest sets from Goodgod friends and family! 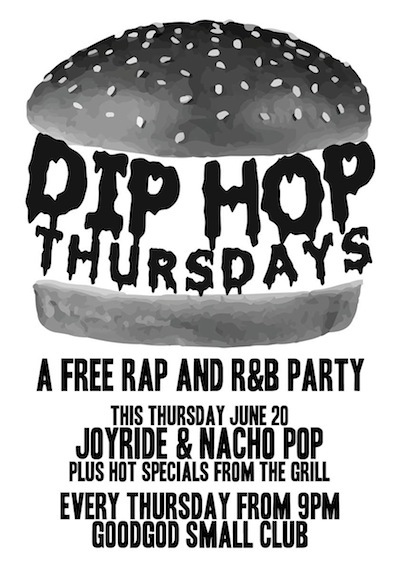 Each Thursday The Dip will offer new specials just for Dip Hop including some very tasty burgers and nachos named after our favourite rappers! Check out Levins’ latest mix, Do The Dip (vol. 2)!